The Dogwood tree and its beautiful blossoms adorn the Earth in early spring. These are a part of our National Forests, also seen blooming along the highways and roads around Eastertime, and prized by those wishing to have such a lovely tree in their yard. 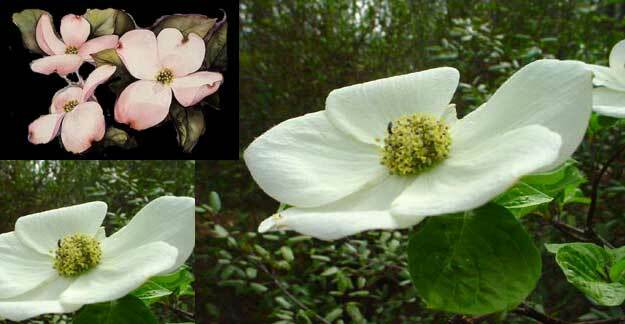 Legend has it that the Dogwood tree was used to make the cross from which the Christ resurrected. The flower, which has four petals, makes the shape of a cross. The petals have a tinge of red at their ends, and the center flower could be seen as a crown. For many these symbolize the great sacrifice the Christ made on the cross for all of humanity. The Dogwood has served humanity in many ways. Native Americans used it to treat malaria. Pioneers made brews to treat ailments from Dogwood, and its bark is used to treat mange in dogs. Along with their beautiful blossoms in spring, the Dogwood treats us with brilliant red leaves in the fall. Some believe the leaves are a signal to migrating birds to find the red berries that will supply them extra energy during migration, as the Christ can help us find the energy to migrate from this world to the next. The Christ in us the hope of glory! The Dogwood, may we see the beauty in it and within ourselves. May it remind us of our service in this world, and the hope of our Divine Destiny.